January 8, 2014 | A Day of Infamy in the WWE – BOBBY JAMES. For the past week, WWE has been teasing a major announcement. Fans were all but sure the press conference was about the launch of the WWE Network – this much was evident through the appearance of some of the biggest names in WWE history, people like Vince McMahon, Stephanie McMahon, John Cena, and “Stone Cold” Steve Austin. 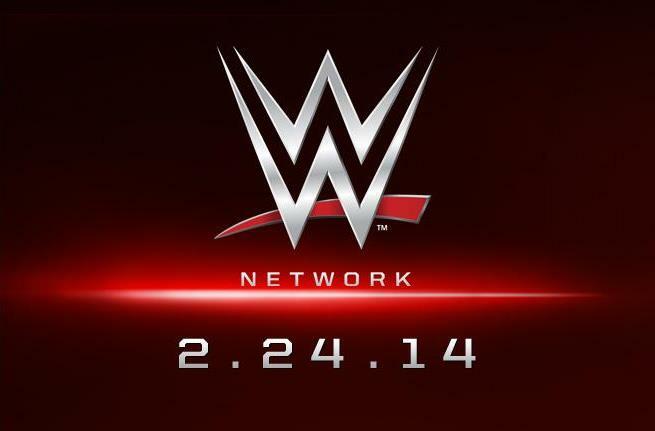 As it turns out, the WWE Network is officially a go beginning February 24, 2014. For $9.99 per month (with a minimum 6 month commitment), through the WWE App, fans will have access to all 12 live pay-per-views, including WrestleMania 30 – exclusive original and first-run shows and content – encores of RAW, Smackdown, and Main Event – and access to WWE’s extensive video library (including WCW and ECW pay-per-views and shows). For a full listing of shows and content that will be available on the WWE Network, click here. Kaitlyn competed in her last match on WWE Main Event against Diva’s Champion AJ Lee. The match was reminiscent of last summer’s impressive and memorable championship program that helped re-establish the Diva’s division. From her days as a “green” NXT hopeful (and eventual season three winner) to her run as champion, Kaitlyn drastically improved her skills in the ring and became a wildly popular member of the WWE’s roster. The former Diva’s Champion was granted her release on her own “terms.” Since news broke earlier today, both Kaitlyn and her fiancée took to twitter to tease a huge announcement. #ThankYouKaitlyn. UPDATE (1/9/2014): For what they’re worth, “reports” indicate that Kaitlyn was unhappy with her position in WWE and subsequently requested her release. Kaitlyn was prominently featured in Diva’s Championship programs on WWE TV from the end of 2011 (against Eve Torres) to late summer/early autumn 2013 (against AJ Lee). Since her reign as Diva’s Champion ended, Kaitlyn was sparsely used on WWE programming (some could argue the successful launch of Total Divas spelled disaster for the popular “Hybrid Diva” and NXT winner). UPDATE 3 (1/14/2014): It has been confirmed that WWE Hall of Famer Mae Young has passed away at the age of 90. UPDATE (1/9/2014): According to initial reports, Mae Young was taken off life-support on January 8, current reports indicate that she died in the early hours of January 9. In other news, after being admitted to a hospital last week (and subsequently being released into hospice), WWE Hall of Famer Mae Young passed away at the age of 90. Young was a true pioneer of women’s wrestling, known to most recent wrestling fans as an associate of fellow Hall of Famer “The Fabulous Moolah,” Lillian Ellison. Young debuted in 1939 and helped blaze a trail for lady wrestlers all across the country during World War II. Since then, Young was a women’s champion in her own right and a WWE ambassador in her later years. Though Young was never a WWE Women’s or Diva’s Champion, she is regarded highly in the professional wrestling community and recognized for her contributions. 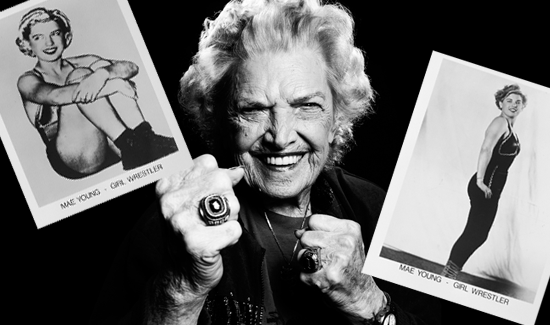 Additionally, Mae Young hold the distinction of being the only professional wrestler to perform in nine different decades – a testament of her devotion, love, and dedication to her sport. 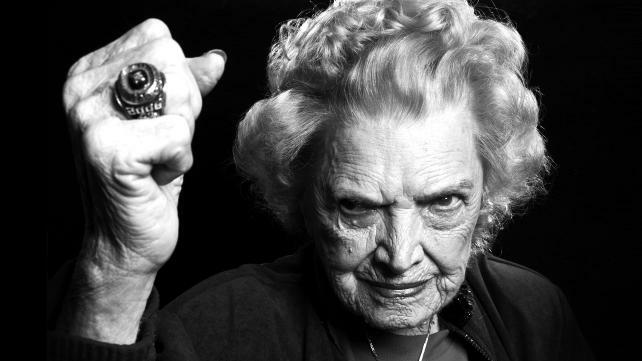 RIP Mae Young. #NineDecadesOfMae.